Looking for encouragement or just something to put a smile on your face? 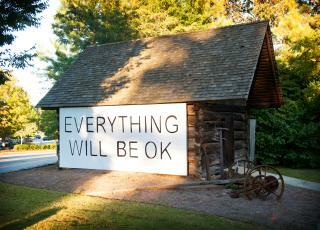 Dunwoody’s iconic “Everything Will Be OK” mural has been lifting spirits since 2009 thanks to local artist Jason Kofke. This beautiful piece was erected on the side of a former seed house found on Spruill Gallery’s property as part of an art show. The seed house is no stranger to featuring the fruitful labors of Spruill Gallery artists, but none have become such a community sensation like Kofke’s piece. 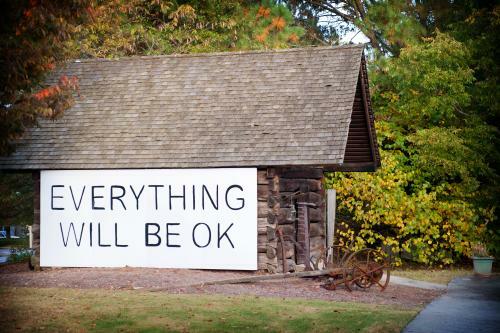 Dunwoody residents flooded Kofke and the Spruill staff with stories of the encouragement the sign had offered them. There had been so much support for this mural that when it needed to be removed due to deterioration, Spruill created a replica with the help of Kofke that is a more permanent version. Since 1975 Dunwoody’s Spruill Center for the Arts has actively worked to foster an understanding and appreciation of the visual arts in the Dunwoody community. In fact, Spruill is the largest community arts education center in the Southeast. 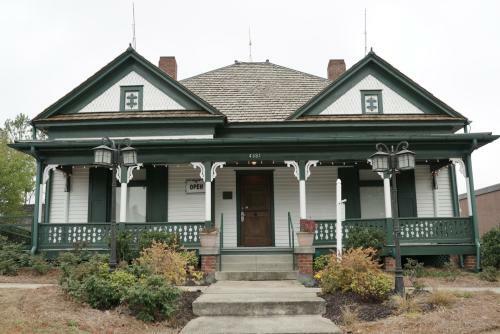 The Spruill Center for the Arts is not only a local hub for artistic pursuits, but also a center for community spirit and empowerment. Looking for things to do in Dunwoody? 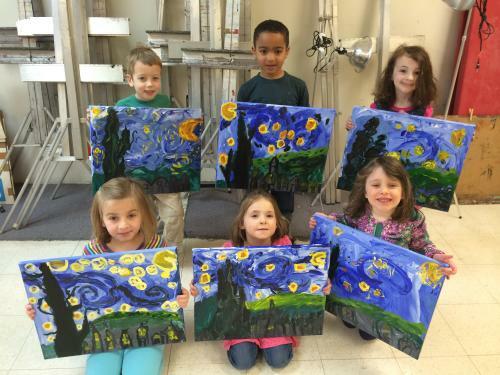 Classes and workshops are offered year round for all ages including children’s summer camps as well as girls’ night out themed painting and pottery. View the class schedule to get inspired today: www.spruillarts.org/registration.php.